Is it better to buy or lease a business vehicle? On the one hand, if your business owns the car you’ll have a long-term asset and may qualify for more tax deductions. 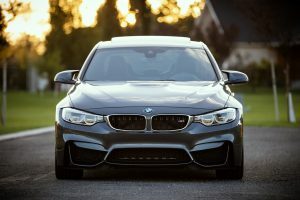 On the other hand, buying a car is a huge expense and monthly lease payments tend to be lower than car loan payments; they may also be tax deductible. Why buy a business car? The big con for many business owners is that buying a car is a major expense—one that may require you to finance a depreciating asset. You will, however, maintain the residual value on your investment as you pay it off, and once you own the car you can use it for as long as it can do its job. If you decide not to buy a vehicle but choose to use a personal vehicle for business, you may also be eligible for itemised deductions come tax time. Be sure to check with your small business tax rules and regulations to confirm which vehicle-related expenses you may be able to write off. For many small business owners, leasing a company car is the more attractive option. Typically, it comes down to cost and cash flow. When you lease a vehicle you won’t have to come up with a down payment or collateral—and monthly lease payments tend to be lower than car payments. The flip side, however, is that leasing tends to cost more in the end—and those affordable monthly payments won’t add up to an asset for your business. Another point to keep in mind is your insurance requirements may be different and amount to higher fees. Also be aware of the maximum number of kilometres stipulated in your lease agreement—if you exceed the limit it can also mean additional fees at the end of your payment term. If you’ll be putting a lot of kilometres on a car, leasing allows you to upgrade to a new car on a regular basis – and doing so may allow you to dodge costly repairs on an ageing vehicle. As a final note on the “plus” side, just like business owners who purchase their company vehicle, those who lease can write off some of their business-related car expenses. The value of the car at the end of the lease vs. the ownership period. Talk to your accountant about which expenses you can claim on your income tax, whether you choose to lease or buy. At the same time you may want to seek advice on how to track your business car costs accurately and efficiently. Keeping good records is a must to make sure you don’t miss any eligible write offs for your car—and so everything is in order if you are ever called for an audit.